Lenovo unveiled its first tablet specifically designed for Windows 8, the ThinkPad Tablet 2. 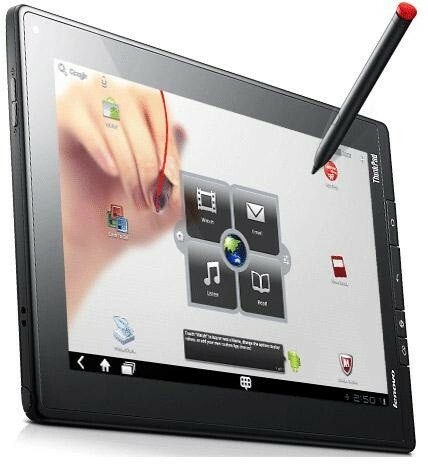 The multi-use tablet boasts differentiators that matter, including an optional digitizer and pen for precision input, 3G wireless with Lenovo Mobile Access pay-as-you-go plans and 4G models1, along with security features like a Fingerprint Reader, IT manageability technologies, and corporate-level service and support. “Customers want a versatile device that fits their lifestyle and the many ways they use technology,” said Dilip Bhatia, vice president and general manager, ThinkPad Business Unit. “Our new ThinkPad Tablet 2 marries incredible hardware and software to give consumers a great device for office, home or travel while also offering companies and IT managers the oversight they need to help secure and manage their company’s networks and data. Technology like the multi-use ThinkPad Tablet 2 helps manage the increasing overlap between personal and work life today. 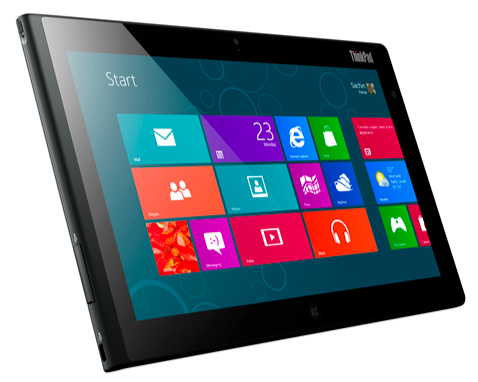 Based on the upcoming Intel Atom Processor-based mobile platform and Windows 8 Pro, the ThinkPad Tablet 2 works the way users do across their varied environments. It has an exceptionally thin and light design measuring 9.8 mm thin and weighing less than 600 grams (1.3 pounds), all in a 10.1-inch screen. The versatile tablet supports multiple input methods: multi-finger touch and an optional digitizer and pen, especially good for note taking, capturing signatures and completing forms. The optional ThinkPad Tablet 2 keyboard and dock can be paired with the tablet for more PC-like computing in the office. With an array of ports including a full-size USB port, workers easily can attach existing devices like monitors and printers. Suited for commuting and in field scenarios, the tablet offers virtually anywhere connectivity and productivity with 3G and 4G wireless models. The tablet serves lifestyle computing uses just as well as business tasks with its package of communications and entertainment features: HD display, front and rear-facing cameras for video conferencing and uploading photos, noise canceling microphones, HDMI port and wireless video streaming. While users will like the tablet for its aesthetics and powerful features, IT managers will particularly enjoy its security-enhanced and manageability technologies. With the optional Fingerprint Reader, passwords are biometrically stored. The encrypted internal and external storage meet the highest levels of security requirements. Using Windows 8 Pro and the Intel x86 architecture, IT managers can provide for VPN access, utilize existing Windows management tools, manage application deployment and block users from installing certain apps. In addition, Lenovo Services offer a complete suite of packages, including sealed battery warranties, accidental damage protection and custom imaging.